Home / Unlabelled / HERDSMEN KILLINGS: CAN Calls For Nationwide Protest Against Herdsmen Killings . HERDSMEN KILLINGS: CAN Calls For Nationwide Protest Against Herdsmen Killings . 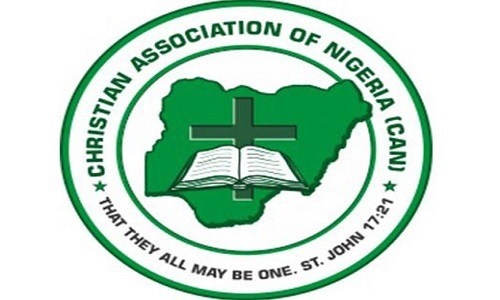 The Christian Association of Nigeria, has called for a nationwide protest against killings and bloodshed in the country. The CAN President, Rev. Olasupo Ayokunle, in a statement on Wednesday urged Christians to hold peaceful protests within their church premises on Sunday April 29, 2018. He made the call against the backdrop of the Tuesday killing of two priests and 17 worshippers at St. Ignatius Catholic Church, Mbalom, Gwer East Local Government Area of Benue State. The cleric admonished the government to perform its constitutional responsibility of protecting the citizens, noting that no excuse is tenable for the bloodshed, stressing that the perpetrators must be brought to book. “CAN seizes this medium to appeal to the government of President Muhammadu Buhari to mount different effective plans aimed towards disarming herdsmen across the northern states and in communities where they have been wreaking havoc across the country in national interest,” the statement added. It attributed the continued killings to the failure of the government to mount an effective campaign against the attacks, killings by the herdsmen, noting that there was equally no visible plan to pacify the aggrieved. “The Association also calls on the heads of the security agencies to wake up to their constitutional role of protecting lives and property across the federation while preventing Nigeria from descending into chaos and lawlessness, “ the CAN President said. He reminded Christians to pray for bereaved families of those attacked by the Boko Haram terrorists, armed herdsmen, and other criminals in the past couple of months across the country.